A convenient clip design, intelligent technology, and vibrating alert make this Bluetooth headset essential for communicating in noisy environments. Use the integrated microphone and vibrating feature for easy communication in noisy environments. 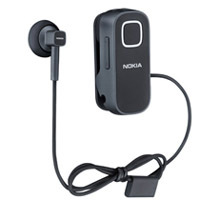 The discreet design features a compact earpiece and built-in microphone for hassle-free communication.